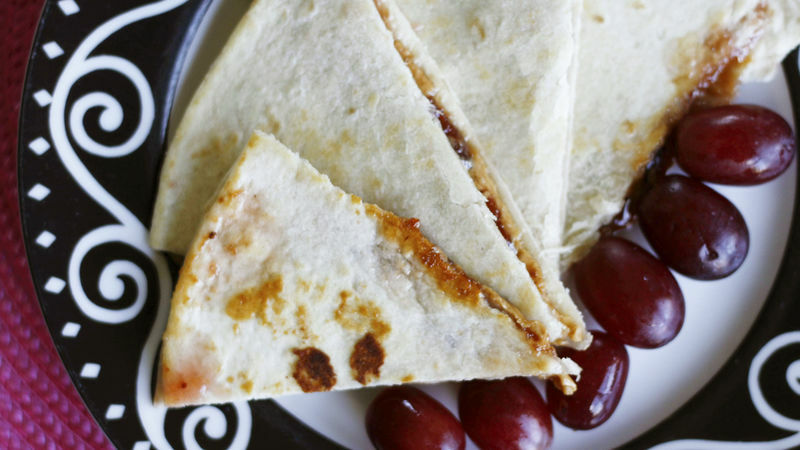 Spread peanut butter on one half of the tortilla and jelly on the other. Fold over to sandwich it. You can serve the quesadilla cold or heat it for about 3 minutes per side. If you heat it though, be sure to check the temperature of the jelly before serving.